Well, firstly, I'll have a lovely Host Gift to give you at the event as a thank-you. There is also a real financial benefit to you by hosting an event. You are able to receive 20% commission from all orders placed at your event. I know, how fabulous is that! Think of all the fabulous oils and products you'll be able to buy with that commission! You'll need to have your own wholesale account. If you don't already have one, we can set this up after your workshop. You will also need to have an order set up to process of 100 loyalty points (or more). This would typically cost you around $100-$150 depending on what you choose to buy. Of course, there's no obligation to set up an account or place an order yourself but you will not receive any commission if you are not enrolled as a customer. You can use your commission from the orders to pay for your order – this is how many hosts receive their oils for free! I'll make sure we chat after your class and before I process any orders so I'm sure you fully understand the options and receive the most rewarding benefits based on what your guests have ordered. Once you enrol, you don't have to place an order each month if you don't want to. If you do, there's no minimum amount you need to spend, and no obligation to buy or sell at any stage. You control any future ordering. Lots of people decide to host an event regardless of the financial incentives just so they can learn more about the oils and how to use them. Hosts have often attended an event, have received some oils and find they love them so much and are so inspired by their benefits that they just can't wait to share them with friends. What does hosting an event involve? if possible, provide some healthy treats for your guests, ideally infused with essential oils - please only use dōTERRA oils from the sample vials in your Host Pack as these are safe to ingest. The recipe booklet in your Host Pack can help you with this. once everyone has arrived, introduce me to your guests and I'd love you to share any experiences you may have had with the oils at this stage. Then I'll do the rest. Cleaning - the Basics $35 per guest / 2 hours / take home foaming hand wash, all purpose spray, mould spray, natural wood dusting spray. Cleaning - Advanced costs and time tba / take the next steps with your low-tox cleaning regime - take home dishwasher tablets, room freshener, wood beeswax polish (tbc). Express interest in attending - email me here. 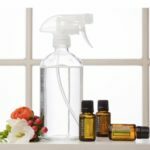 Spring Cleaning Workshop $25 per guest / 2 hours / take home all purpose spray, foaming handwash, mould spray, ant/spider/mice repellant spray, and recipe booklet. Winter Wellness Workshop - $25 / 2 hours / make some natural products to support your body through the winter coughs, colds and sniffles. If you'd like to serve alcohol, please wait until after the event has finished so I can better assist your guests and to enable them to make clear decisions about any purchases. Please remind your guests to arrive at least 5 minutes early. I will start on time out of respect for those who have arrived at the specified time. I do understand that life sometimes gets in the way and unforeseen things happen so we might need to reschedule dates. However, I do ask that you give me 2 weeks notice to enable me to rebook the space.